The name “Collection D” sounded more like an haute couture clothing line, than a brand of champagne, when I read the invitation for Champagne Devaux tasting at Leela Ambience Gurgaon. This is the name of a premium champagne range by the House of Devaux, which has recently been launched in the India by Rad Elan Distributors. 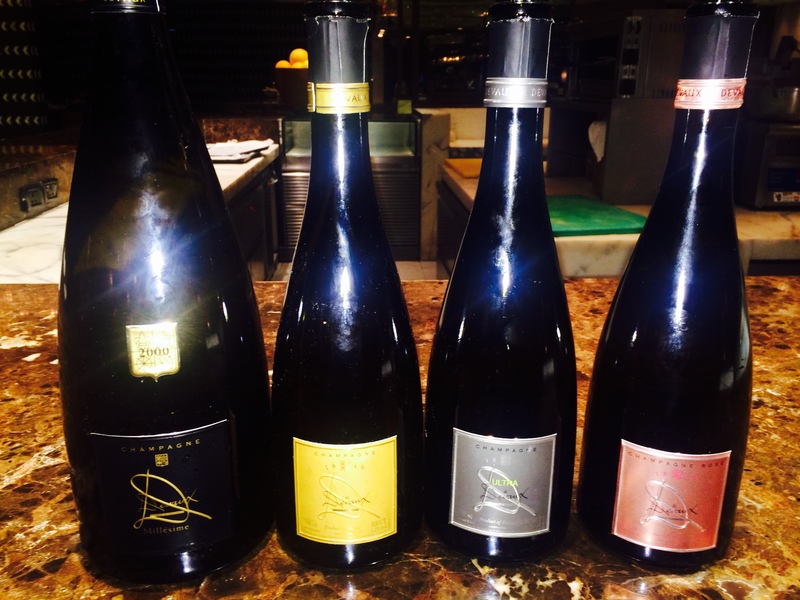 The four labels which make up the famous “Collection D” are the Cuvée D, Ultra D, the D Rosé & D Millésimé, expressing the art of champagne making to the “highest level”. When the cellar master Michel Parisot conceived the Collection D, he wanted to create a masterpiece according to time honoured methods of champagne-making, yet having its own identity within the hierarchy of Champagne. Located at Bar-Sur-Seine, in the Côte des Bar region of Champagne, the House of Devaux produces 700,000 bottles annually which are available in three ranges, the D Collection, Classic Range & Speciality 100% Pinot Noir. It is the Collection D which has been launched in India. Devaux is a house which has a rich history and a past dating back to 1846 and which prides itself in quality, offering an exquisite range of champagne which is both fruity and delicate. 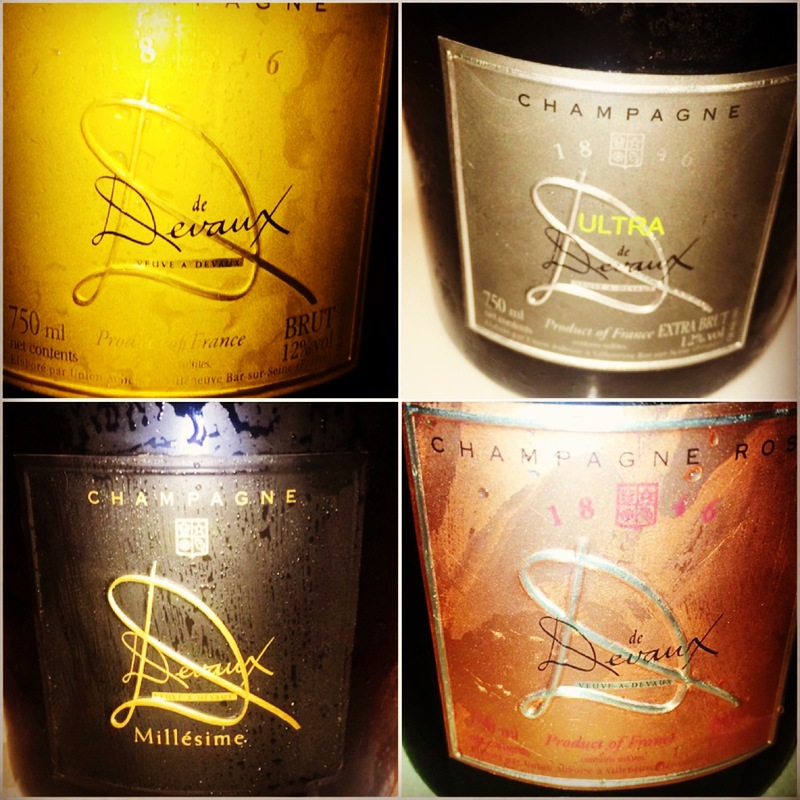 So how is Collection D different from other brands of champagne and what makes it special? The secret of the uniqueness of Collection D begins early, right from the plot selection of vineyards with the best exposure, the use of first juice extracted from the press (called la cuvée) the combination and addition of at least 4 different vintages in which 3 are barrel-aged, reserve wines making up 50% of the assemblage (`a la the solera method used in the production of Sherry & Port ) and a development time of 5 years of aging on its lees against an average of 12-15 months for most champagnes and 4 years for vintage champagne. This prolonged maturation is a key component which leads to the development of complexities and aromas and the end result is a product which is both mesmerizing and chic. 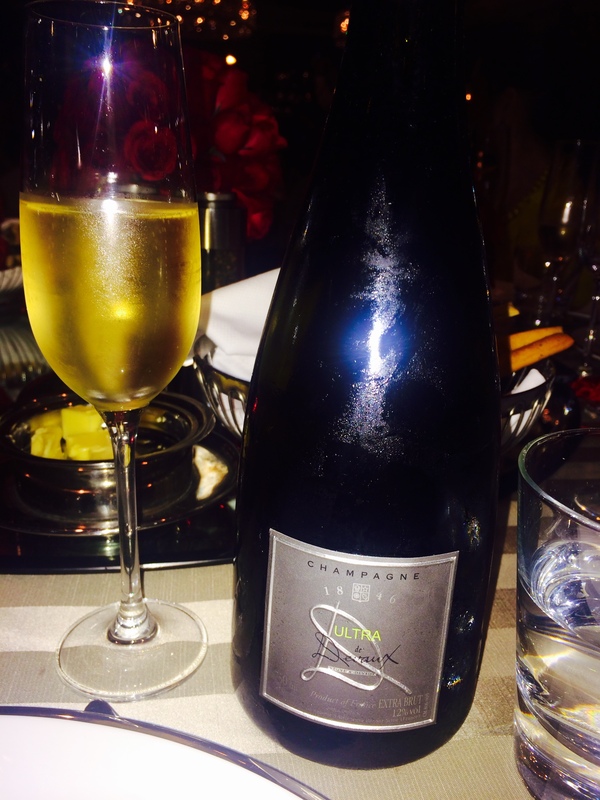 Leela Gurgaon organised a tasting of the Brut, the Ultra Brut and Rosé followed by a dinner which featured a vintage champagne from Devaux. 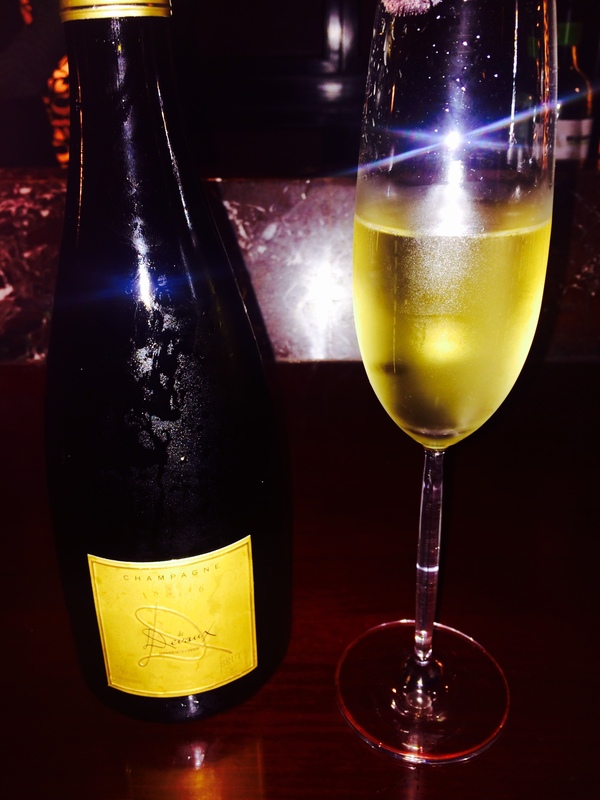 The first one Devaux Cuvée D, Brut felt fresh in the mouth with bubbles that tease the palate rather than assaulting it as many champagnes sometimes do. With a nose of white flowers and vanilla, on the palate it had pinot tones and brioche. Devaux Ultra D, Brut, was extremely lively with a vivacious mouth and with very low dosage of only 2g/l, it felt lighter on the palate than the Cuvée D. The freshness was accompanied by great minerality combined with saline notes, though the roundness of the Pinot Noir is expressed less than the Cuvée D. Vinous and steely with a great length, I found it to be very elegant. Personally I prefer a zero or low dosage style of champagne as it is more expressive of the terroir though most champagne drinkers prefer dosage as it makes it easier on the palate. Ultimately the question is not about the dosage but how good the champagne is, whatever be its style. 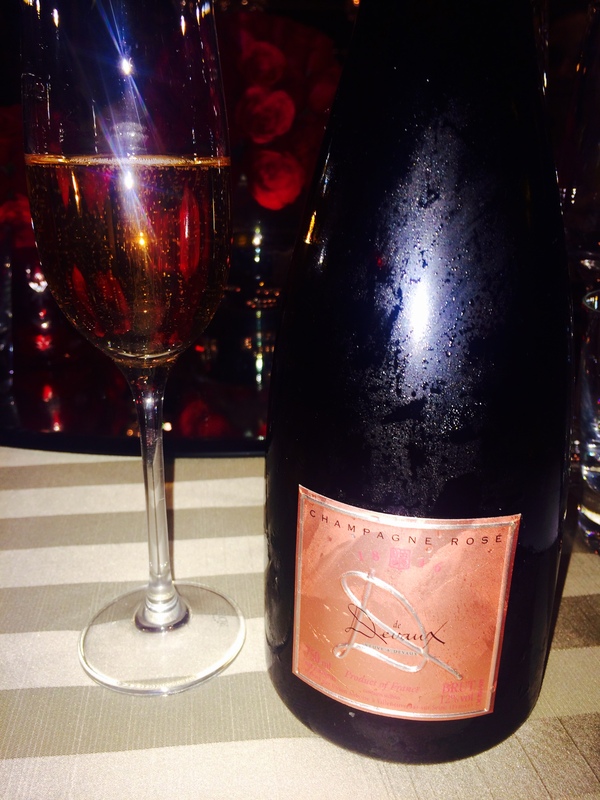 The D Rosé was delicate with the presence of both fruit and freshness, aromas of small red fruit and white flowers. The palate was fruity with subtle notes of raspberry and apricot. This is a Rosé made with blending red wine with the white. A perfect aperitif for a hot summer afternoon. The tasting was followed by champagne paired dinned at the Spectra PDR, the all-day dining multi-cuisine restaurant at Leela Ambience Gurgaon. A word of praise about the initiative taken by General Manager of Leela, Michel Koopman, in organising wine paired dinners at the various restaurant, be it Diya, Zanotta or the Sky Deck, making Leela Gurgaon the numero uno destination in Delhi NCR for wine lovers. 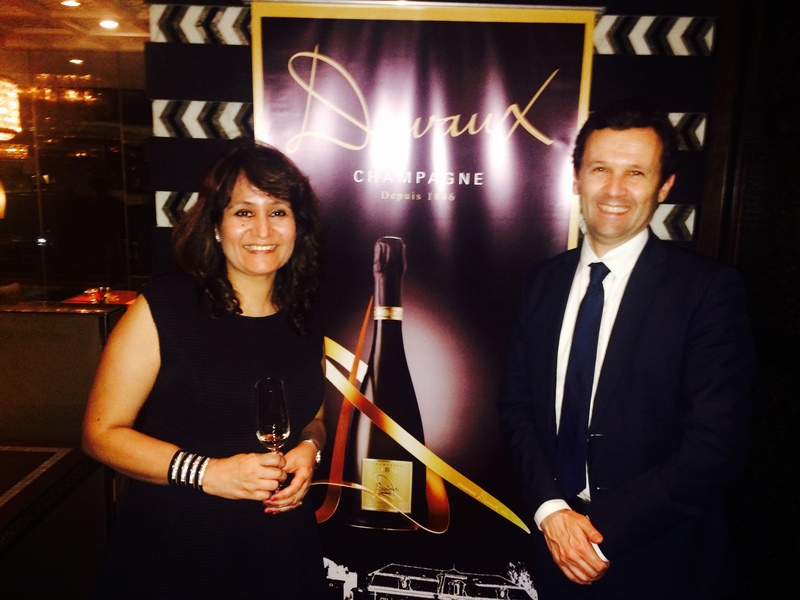 The Devaux Champagne Dinner had dishes which complimented the exquisite champagnes. The Poached Seabass with Champagne beurre blanc paired with Devaux Ultra D stood out among all the pairings. Compliments to the team of chefs comprising of Ramon Salto, Christian Cabrera Rubio, Neeraj Rawoot & Pablo Morales Melendrez who all worked together towards creating dishes which enhanced the fruity and toasty notes of the champagnes. 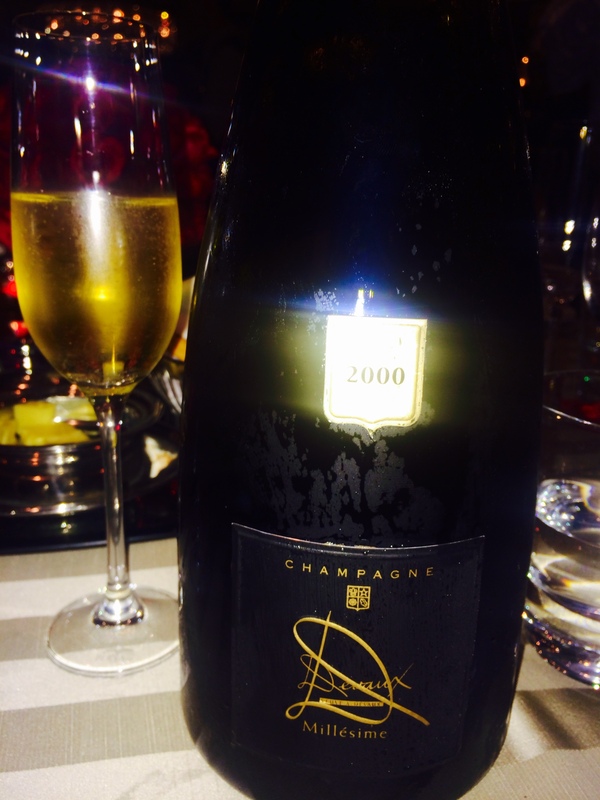 D Millésimé 2000, a vintage champagne with an exuberant nose of citrus peels, fresh almonds and roasted notes of warm brioche, was unveiled at the dinner. It was paired with Organic chicken filled with sundried tomato and ricotta. The champagne had good depth though compared to the nose, the mouth felt a bit understated. Nevertheless it was a champagne good enough to eat , not just drink. Devaux D Millesime 2000 : 50% Pinot Noir & 50% Chardonnay Aged 7 years in the cellar. Côte des Bar where the Champagne House of Devaux is situated is catching the attention of the world for its distinctive champagne. In the past it was often overlooked and even regarded with disdain as it did not receive any of Champagne’s top classifications except Drappier, even though 50% of Pinot Noir in Champagne is grown in Côte des Bar. The House of Veuve of Devaux is known for its exceptional champagne and unique bottle and with the launch of its premium Collection D, we in India are fortunate to taste this exquisite champagne. Cuvee D Brut is priced at Rs 6000 while D Rose retails at Rs 7000. Both are available in Delhi at Defence Store in Defence Colony and at INA Market . In Mumbai one can find them at Patel Wines Cuff Parade & Silver Coin Bandra . Ultra D & D Millesime will be available very soon.